It turns out one of Twitter’s most controversial far-right accounts — a woman who regularly spews anti-Muslim propaganda — belongs to the wife of a former WWE executive, who was fired due to a report outing his significant other. According to HuffPost, the @AmyMek account — which is followed by Sean Hannity, Roseanne, and some 220,000 others — belongs to Amy Jane Mekelburg. Mekelburg is married to the former WWE senior vice president responsible for global content distribution and business development. To be fair, he became “former” after Huffpost’s Luke O’Brien started asking questions. According to Huffpost, Salvatore Siino landed the WWE VP gig in early 2017 after his startup went out of business. In his position, WWE says Siino would’ve been negotiating TV deals in the United Arab Emirates. Virtually the entire population is Muslim. 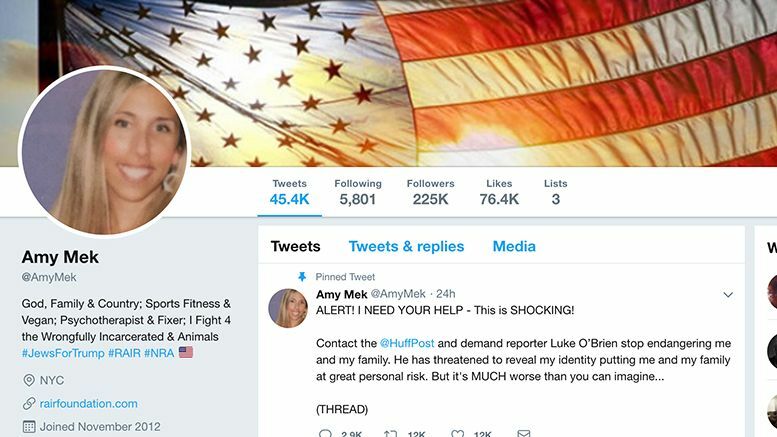 WWE reportedly knew about the @AmyMek account, according to former family friend who talked with Huffpost, and told Siino to keep his connection to his wife quiet. When HuffPost first questioned WWE about the account, a corporate spokesperson told them, “this is the first time we’re hearing about Amy Mekelburg.” As the story approached publication, Huffpost reached out to WWE a second time to see if anyone was aware of @AmyMek before Siino was hired. Read Amy’s full reaction to the report by CLICKING HERE.